"This is not my home." Even in her small voice, I can hear the fear and frustration. I quickly make my way through the darkened hallway to her room, where her Big Sister is already sleeping. My littlest girl is tucked in under her covers, and turns to look at me as I sit by her side. Tears threaten at the corners of her eyes, and she looks around at this new space which we are currently calling home. Two weeks ago, we made the move back to our hometown after living in a great neighboring town for four years. We are renting a wonderful townhome from wonderful friends until we buy my mom's house in the next year or two. But it has been a transition. And this unexpected bedtime conversation is a reminder of this. "Oh sweetheart," I say to her, "This place is new, yes. But it's our home for now." Her brow furrows with frustration. "NO," she says firmly, her voice cracking. "It's not. This is not our home." A tear slowly makes it's way down her cheek, and my heart breaks. I knew this would be a difficult transition. We moved into the house we just sold when our oldest was just shy of 2 years old. Bug was not even born, so it is the only home she's ever known. Of course this new place, this temporary home, is not truly home to her. Growing up, I never experienced a move. We lived in the same house my mom still lives in today (and we will one day live in again!). So I can only imagine how her little heart must be confused and hurt. But even more, my heart breaks because I know exactly how she feels. I struggled for a long time when we bought our house. Moving to a new town, I felt homesick. I wanted to be home, not here. I wanted to be where everything was familiar, where I had memories of every street and sidewalk and store. I wanted to be where I'd lived my life for almost 30 years. I struggled with this. Yet over time, we came to love our new town and our house. We brought Bug home from the hospital as a newborn and, together with her Big Sister, we spent 4 years making memories as family. Despite myself, that house became home. Not because the structure was uprooted to the town I wanted to live in. Not because it was where everything was familiar (although it became familiar), or because it suddenly was the realm of all of my childhood memories growing up. No, this place became home because I finally accepted home was where my family was: Hubby, Chica, Bug and me. When they are the ones I come home to, I am home. When they are the hearts beating under the same roof as me, I am home. 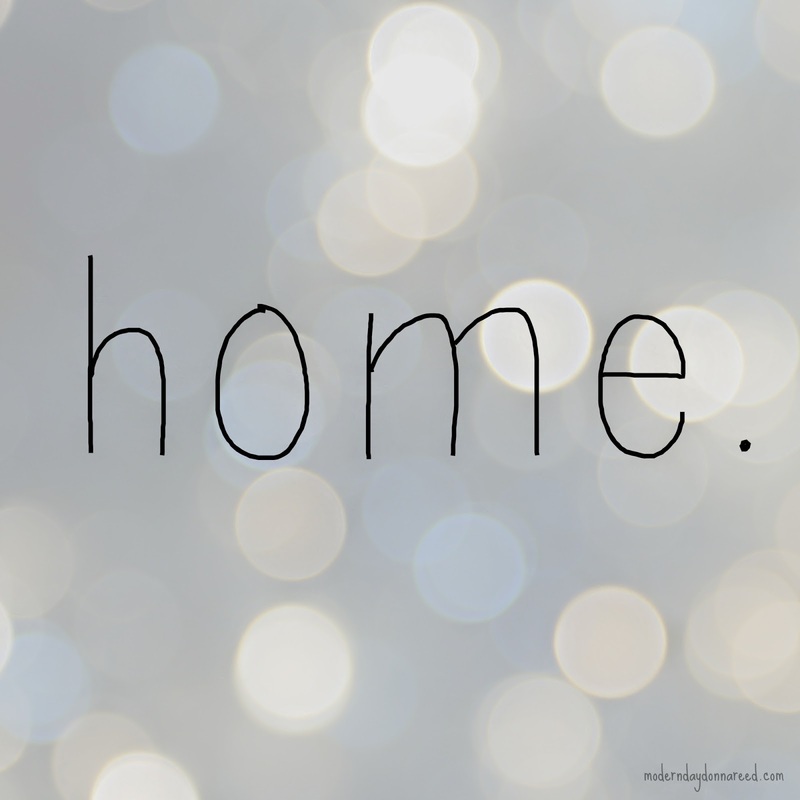 I could live near, far, in a tent or a car, but if they live there with me, I am home. Wherever they are, I am home. I brush the tears off of Bug's cheek, and stoke her hair. Her breathing calms, and her eyes droop. I tell her it is okay to be confused and a little scared right now. It's okay to miss our old house. I tell her I know that things are different. "But you know what will never be different?" I ask. She shakes her head. "What?" "I will always love you," I whisper to her. "Daddy will always love you. And although our house may change, when we are together as a family, you'll always be home." She sighs, and with a contented smile, her eyes close completely as she drifts off to sleep.